Enjoy your next vintage in these all-purpose, fun and very fashionable 21oz stemless wine glasses. 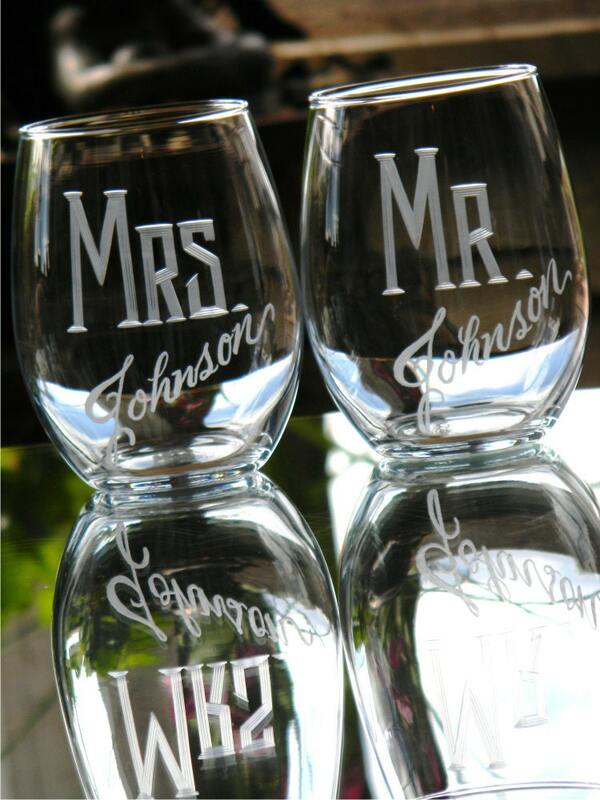 I hand-engrave Mr/Mrs on each glass using the age old technique of stone wheel engraving(read more about the engraving below) and personalized last name in script lettering. Wonderful additions to my son's wedding! They have them proudly displayed in their home. Thank you for the quick turnaround.